Thu., Jan. 28, 2016, 4 p.m.
BOISE – Idaho state schools Superintendent Sherri Ybarra told lawmakers she wants a new education culture in Idaho. Her proposal, which had been in the works for a year, calls for a 7.5 percent boost in state funding for schools, a continuation of the state’s multi-year commitment to raise teacher salaries and flexibility for school districts. Her budget pitch drew praise from lawmakers, particularly after her first one last year, a brief overview that was lean on details. “I have a lot to say this year,” Ybarra told the Joint Finance-Appropriations Committee with a smile. Lawmakers on the budget committee gave her high marks. “She took the year to do what she said she would do,” said Sen. Shawn Keough, R-Sandpoint, co-chairwoman of the joint finance committee. 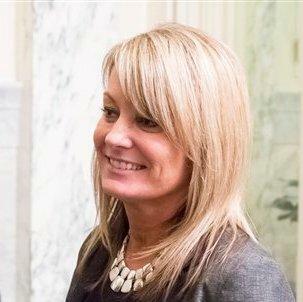 Ybarra stressed that the budget proposal she presented wasn’t just hers – it was the result of months of meetings and collaboration with school districts, stakeholder groups and others. Ybarra’s budget request is slightly lower than Gov. Butch Otter’s proposal for a 7.9 percent increase, but she said she strongly supports the governor’s higher figure. The biggest features of the two budget plans – funding for the next year of phasing in a new teacher “career ladder” and restoring operational funds to school districts to 2009 levels to make up for cuts during the economic downturn – are the same. “I think the differences are how they get to the same goals,” Keough said. Among the differences: Ybarra proposed $5 million for increased efforts at literacy, making sure children can read by the third grade. Otter proposed $10 million. That item is a recommendation from Otter’s school improvement task force. Ybarra proposed a $2 million increase for classroom technology; Otter proposed a $10 million increase. Ybarra proposed various additional pay boosts; Otter proposed 3 percent overall for raises, in line with his proposals for all state employees. She outlined a new plan to create “rural schools centers” around the state. It’s a relatively small budget item, at $300,000 for next year, to establish the first center. It’s not a push to combine rural school districts, Ybarra said. That could include early learning, special education services, teacher training, financial services, technology support and nursing services, Ybarra said. “Each center will look different depending on the different region of the state, because they have different needs,” she told lawmakers. She also requested funding for a study of student testing next year and announced that the state has agreed to shave 30 minutes each off the time students spend this year taking standardized tests in math and English language arts. “The parental concerns and stakeholder concerns that we had were valid,” she said. Published: Jan. 28, 2016, 4 p.m.